LARS TO SPEAK @ KUTZTOWN UNIVERSITY MARCH 20! On March 20, Lars will speak at Kutztown University during a free public lecture. 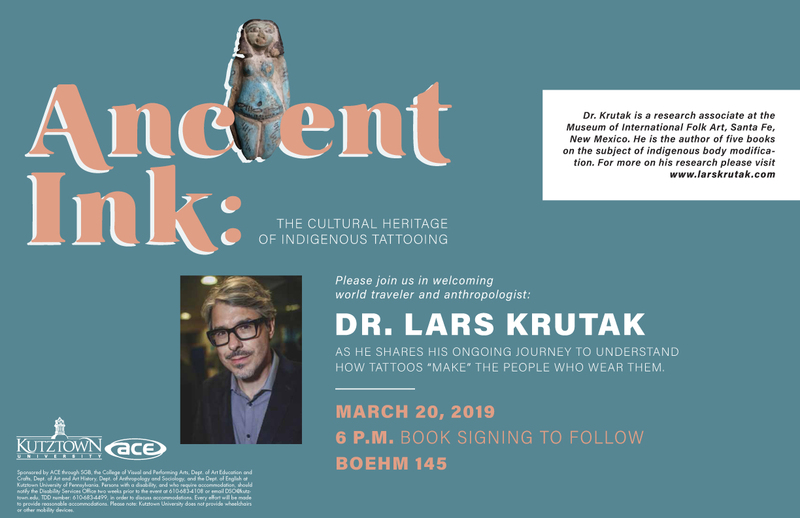 The title of his talk is “Ancient Ink: The Cultural Heritage of Indigenous Tattooing.” Following the lecture, Lars will hold a book signing event featuring some of his tattoo-related works. Hope to see you there! Previous article 2000-YEAR-OLD TATTOO TOOL FROM UTAH! Next article LARS’ RESEARCH FEATURED ON SAPIENS.ORG!